There are four popular eReaders available for less than $100 this Christmas. Each has their pros and cons. 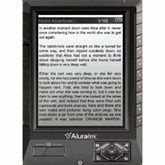 At $89 (discounted from $129), the Aluratek Libre Pro has many reviews commenting on how happy people are with this eReader. The Libre Pro stores eBooks on SD cards, which seems to be a big plus, as its competitors don’t have an SD card slot at all. It also supports the PDF and ePUB formats, so getting eBooks from the library or downloading free ones online is fairly easy. It has manual controls on the side – no touch screen. At $69, the Amazon Kindle is the cheapest eReader around. This is not the fancy Kindle Fire HD, but the relatively simple Kindle which boasts what many consider to be the best contrast screen of any eReader on the market. The Kindle is thin and light. It also does not have a touch screen, putting it behind some of the other eReaders at this level, like the Kobo Touch and Nook Simple Touch. Only eBooks using the AWZ Kindle Edition format work on the Kindle. It doesn’t support other formats like PDF and ePUB, so eBook selections from local libraries may be more limited than with other eReaders. Still a bargain at $99 the Kobo Touch eReader has been around for several years in Canada, but hasn’t gotten much publicity in the United States. Kobo has a large online bookstore, just like Amazon and Barnes & Noble. It also supports PDF and ePUB formats allowing access to borrowed books from the library and free books from the internet. It has a touch screen, making it easier to navigate and download books from the internet. Finally, the Nook Simple Touch is also $99. This Nook eReader connects to the Barnes & Noble online bookstore and supports the PDF and ePUB formats. It has physical buttons for navigating the books, and also has a touch screen. 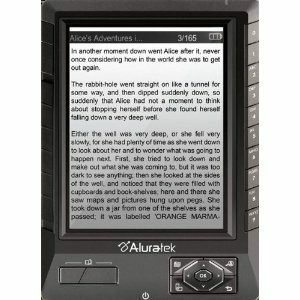 This eReader has the optional Glow Touch (a $20 upgrade) which makes night reading much easier. There are a few minor league players with cheap eReaders out there, but these are the most popular. Which eReader are you thinking of buying, and why? Let us know in the comments below!